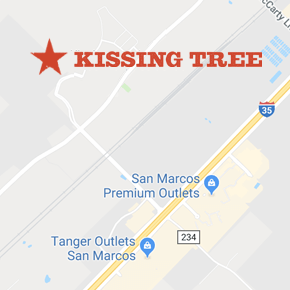 Preview the eight model homes at Kissing Tree, a distinctly Texan 55+ community in San Marcos, Texas. Each home can be made uniquely yours with a wide array of finishes, options, and architectural styles to choose from. Not only is it a home, but a home base for planning your adventures. Take a virtual tour of all eight Hill Country homes from 1,400 to 3,400 square feet featured in the Kissing Tree Model Park! Enjoy your time exploring, and plan a trip to see us soon! Plan your tour of these model homes and additional move-in ready homes in San Marcos today. Fill out the form below, and we’ll be in touch shortly! or give us a call at 512-539-3700 and we’d be happy to answer any questions you have!